Once again I find myself back at Avenue Q but this visit had a bit of a twist with Churchill Theatre’s first try at tweet seating! 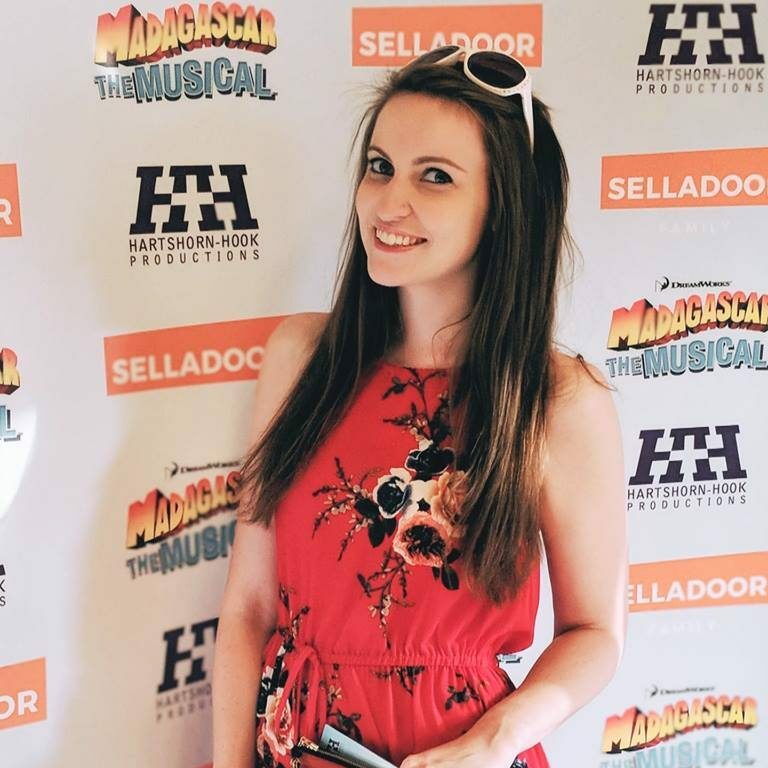 Usually phones are a major naughty no no in theatres but with a hilarious comedy musical like this one, tweeting live updates through the show is a perfect way to promote and micro-blog the fun. 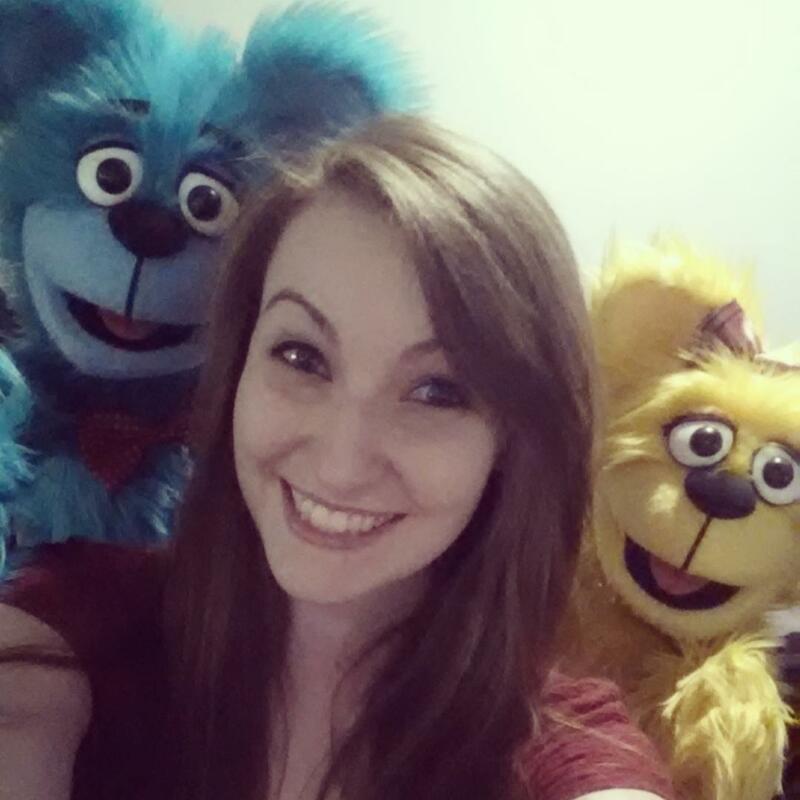 The night started with a little visit from two of the street’s naughtiest puppets, the Bad Idea Bears! You can usually find these two pushing drinks on poor, unsuspecting college graduates but this time they just wanted to cause havoc with my hair. Anyway… on to the show itself. After a few technical issues we managed to get started on the tweets. 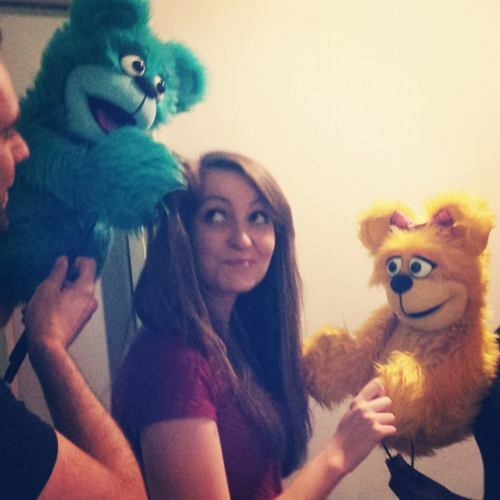 It’s difficult to keep up with the show when you’re trying to tweet and hide the light from your phone, I’m not sure it would work with a lot of shows, but with Avenue Q it was perfect – there’s enough hilarity and innuendo to make your tweets enticing for potential audiences, without giving away the entire story. The News Shopper covered our tweet seat fun too! I’ve seen a fair few productions of Avenue Q, in West End, regional and amateur theatres, but this has to be one of my favourite touring casts. Stephen Arden is a brilliant trekkie monster – he’s brought some new quirks to the character and still manages to make me laugh even though I know most of the punch lines! That takes great comedic skill. He works seamlessly with Richard Lowe in their Nicky/Rod scenes too. Richard flourishes as Rod – camp to perfection! Arina II has excellent comic timing as Christmas Eve and Richard Morse is always a delight to watch. Sarah Harlington sure knows how to pull out a beautiful rendition of It’s a Fine Fine Line, she’s a commanding lead. Altogether an excellent cast with some reworked material making it as fresh as ever for a veteran Avenue Q visitor like me! One of the best touring productions of the musical I’ve seen. It’s hilarious fun from start to finish with a bit of a life lesson thrown in! 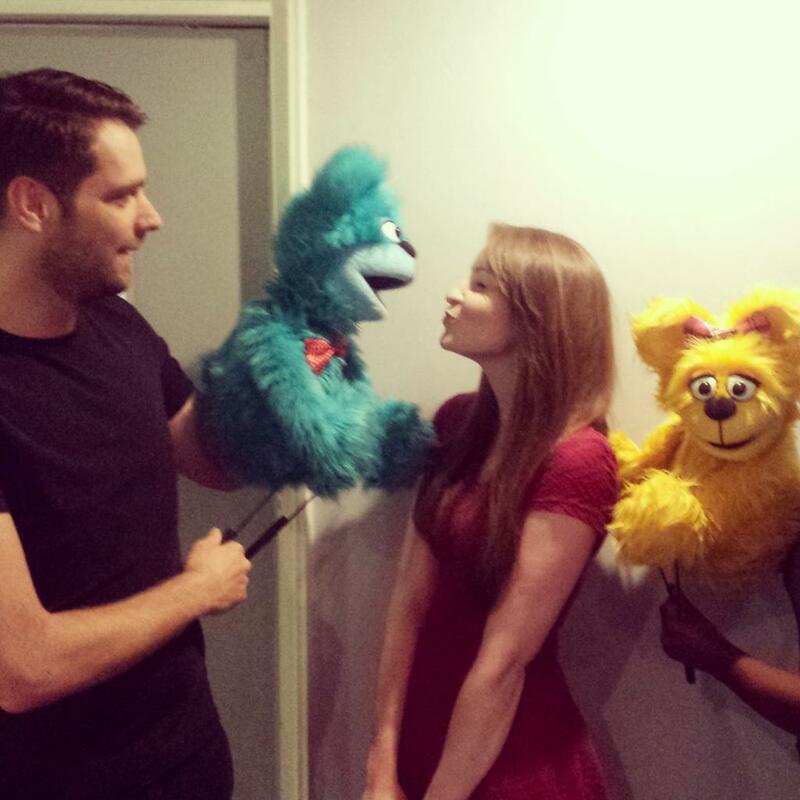 Avenue Q is at the Churchill Theatre, Bromley until Saturday 12th September then continues its tour of the UK! Full list of dates are on their website. Tickets for Bromley available via ATG.